There’s a new book that’s just been published that belongs in every genealogist’s library. 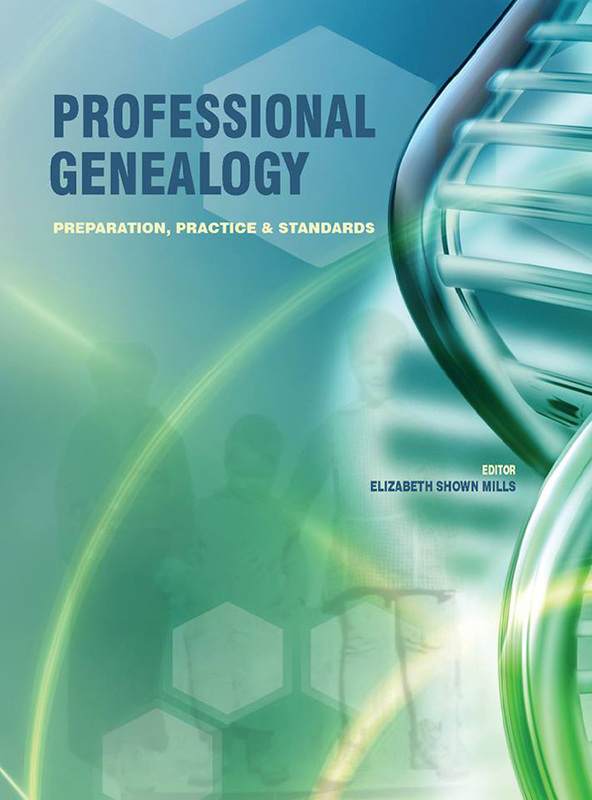 Edited by Elizabeth Shown Mills, it’s the long-awaited sequel to the 2001 volume Professional Genealogy: A Manual for Researchers, Writers, Editors, Lecturers, and Librarians,2 and it’s just hit the virtual shelves at the website of the publisher, Genealogical Publishing Company, and at Amazon. Yes, that’s the cover of the new book. And if you look closely you will see that there’s a faded image behind the DNA double helix there on that cover — three little kids, two boys and a girl, balanced on a fence. The older boy is holding the younger boy’s hand; the girl is holding the younger boy steady so he stays balanced as well. The photo was taken most likely by Opal (Robertson) Cottrell. The date was sometime around 1927. And the place was Midland, Texas. I know that because I happen to know the likely photographer and the three little kids in that photo. The likely photographer — likely because she was almost always the family picture-taker — was my grandmother. And the three little kids her children, my mother’s siblings. I was delighted when Elizabeth selected this photo8 to be part of the cover of this book. I’m just tickled to have my Cottrell kin as part of the libraries of so many genealogists. Hi Judy, I am building my genealogy reference library and wanted to know if there is value in owning both PPS volumes or whether the latest will suffice. Thank you! That’s addressed in footnote 2… yep, I’d definitely own both if you can. Thank you! And going forward I’ll be sure to read the footnotes. Just ordered it. Thanks for getting the word out. Fabulous! Congratulations Judy! And this will definitely be in my library soon. Thanks for this notification. Do you know if and when there will be an ebook edition? The editor said on Facebook that she expects an ebook to be available soon on the publisher’s website. What a wonderful tribute to your family, Judy! Thanks for the heads up on a great addition to my library. Congratulations Judy. It’s no small task updating such a cornerstone book particularly when you take into account the quantum of change in genealogy (including DNA aspects) since 2001. As soon as the ebook is released I will order it immediately. The congratulations belong entirely to Elizabeth Shown Mills — her tireless shepherding of cats (a/k/a the chapter authors) is what made this possible!